The diverse dairy farms of Normandy have for centuries been a source of some of the world's greatest cheeses. 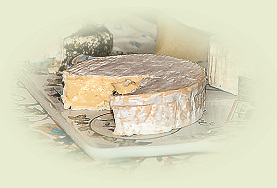 Below are some of my personal favourites, cheeses that deliver the taste and fragrance of the Normandy farmland. Known the world over, the Camembert, (pronounced cam-on-bear,) of Normandy, named after the town of its origin, is a rich, creamy, full flavoured and fragrant cheese, possessing a strong dairy flavour with a hint of apple and a long finish releasing farmyard notes. 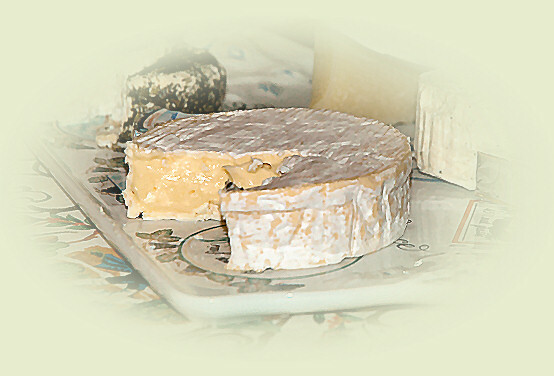 Most Camembert sold in the United States is a pale imitation of the real raw milk AOC Camembert available in France. One Camembert,available in the States, that I find very satisfying, even though it is made from pasteurised milk, is Le Châtelain. It seems, though, that Le Châtelain is sold in the States in two grades, so be careful. To assure youself of quality, open the box and look for a gold seal applied to the cheese itself. My personal favourite, Pont-l'Évêque, (pronounced pohn-liv-eck,) is a moderately strong cheese with an assertive farmyard fragrance and posessing a piquant rind and a sweet nutty flavour with herbal and garlic notes and a long finish releasing pronounced farmyard notes. Not for the faint-of-heart, Livarot, (pronounced Lee-vah-roh, although my brother-in-law pronounced it leave-the-room, ) is a strongly flavoured cheese with an equally strong bouquet. 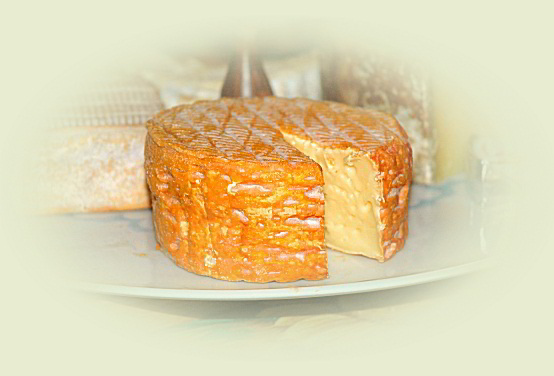 If the fragrance of Pont-l'Évêque suggests farmyard, then that of Livarot would suggest manure-pile. Nevertheless, it is a very rewarding gustatory experience, opening with a sweet nuttiness and finishing with herbal, dandelion, and pungent farmyard notes. 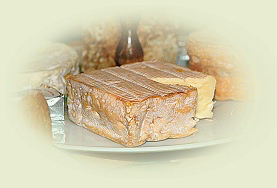 These cheeses are traditionally eaten at the end of the meal, with a slice or a chunk of bread and accompanied by a dry red wine or a cidre bouché.